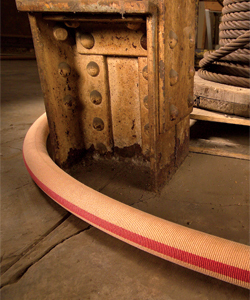 Supreme is a durable, rugged, traditional double jacket fire hose and one of the best values on the market today. Originally designed over 40 years ago, Supreme has become the hose to which all others are compared. 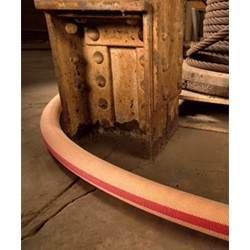 Manufactured to exacting standards, our use of ring-spun polyester yarn with a flexible rubber liner and calendered rubber backing, keeps this hose supple when empty and tough when necessary. Supreme hose sizes up to 3” were designed specifically for use as heavy duty attack hose. It is manufactured to a service test pressure rating of 400 psi (2760 kPa) and handles all problems of the fireground with ease.